The 5100vt sclerotherapy phantom provides clinicians a means to practice precise needle control and placement into superficial and reticular vessels. 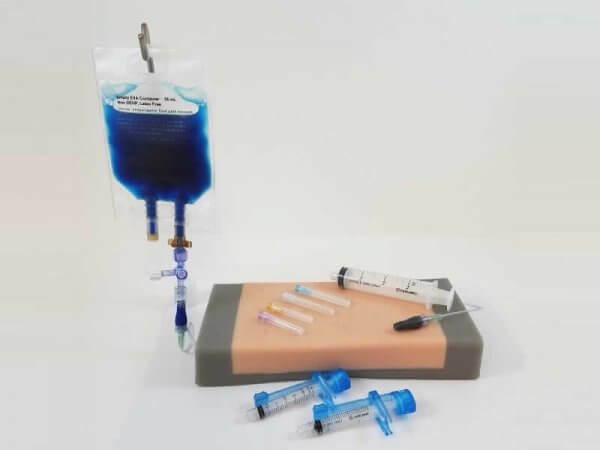 This model is especially useful for developing sclerotherapy techniques as well as a device for training programs, and medical education and simulation with facilities for anesthesiology, emergency medicine, radiology, and nursing. This multi-modal training phantom uniquely provides clinicians the means to develop vascular access skills using multiple visualization techniques; visual, near infrared, polarized light, and ultrasound visualization of vessels and guidance of needle placement. Gravity-fed refill feature allow for uninterrupted training sessions.